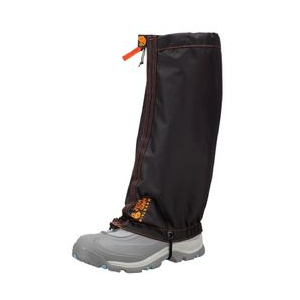 Waterproof enough but TIGHT in the calves. I wear these in summer snow on glaciers and on winter trips to the mountains to hunt and cut the Christmas tree. I bought them on clearance so I couldn't return them, but if I could, I would. The charts stated that the Large size was the one for my boot size. That is true. They fit my boots just fine, really well as a matter of fact. What is not mentioned is that my, evidently freakishly large, calves BARELY fit in them. The circumference of my calf is about 18.5". 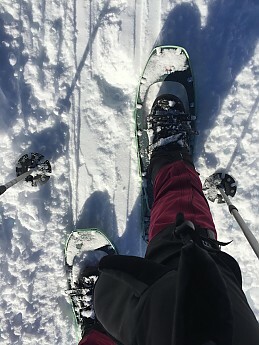 The velcro closure on the front does not completely close and I get a little powder leakage when I wade through deep snow. Occasionally the velcro seal will burst open (twice in one day) and I have to readjust things. Low/thin socks, thin long johns, and anything but the lightest pants are all I can fit under these things. If I had known they were this tight I'd have gotten the XL but my feet are only 9.5 so I got the Large. I like the tightening strap and the arch strap a lot; they are bomber. I like everything else about these things. I guess it's my fault for buying clothes w/o trying it on first. 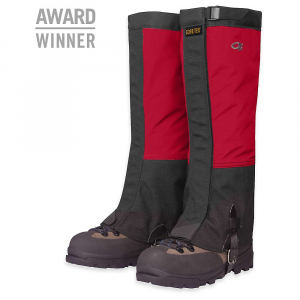 These are my third pair of gaiters. I have never had this issue before. Update 2016: Still have these and, after losing 50 pounds, they fit fine. 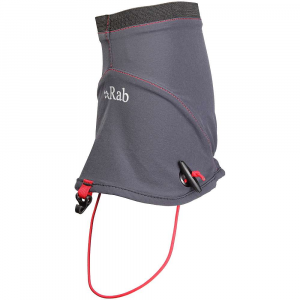 Rugged, durable, warm, waterproof... What else can I say, they are awesome! 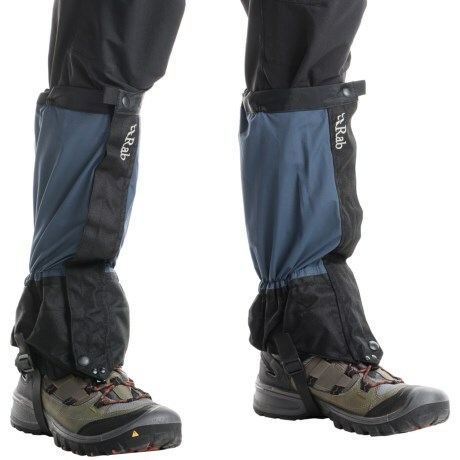 I bought these gaiters because they were on sale, not expecting that they would come in so handy. I could not have done without them this winter. 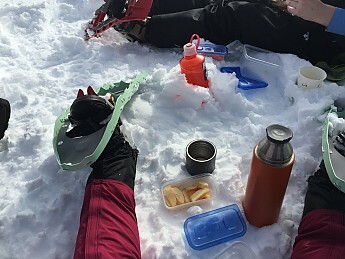 I wore them on every hike in the backcountry and snowshoeing. They kept me warm and dry. 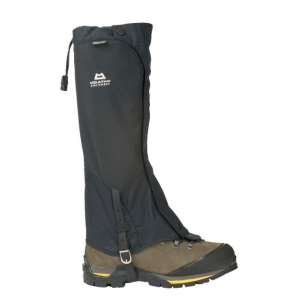 These OR Verglas Gaiters are awesome! These are great. I've hiked over 150 miles with them. These are great. I've hiked over 150 miles with them. The only thing that I don't like is that when it is too warm out they don't breath as well as I would like, but for their waterproofness I guess I can't ask too much more. 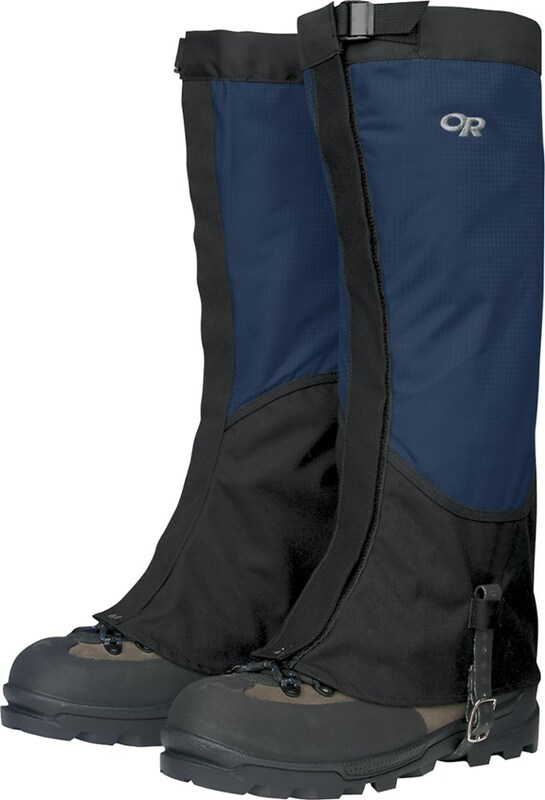 I bought this for snowshoeing, and was debating between these and the OR Croc Gaiters. I am glad I went with these. 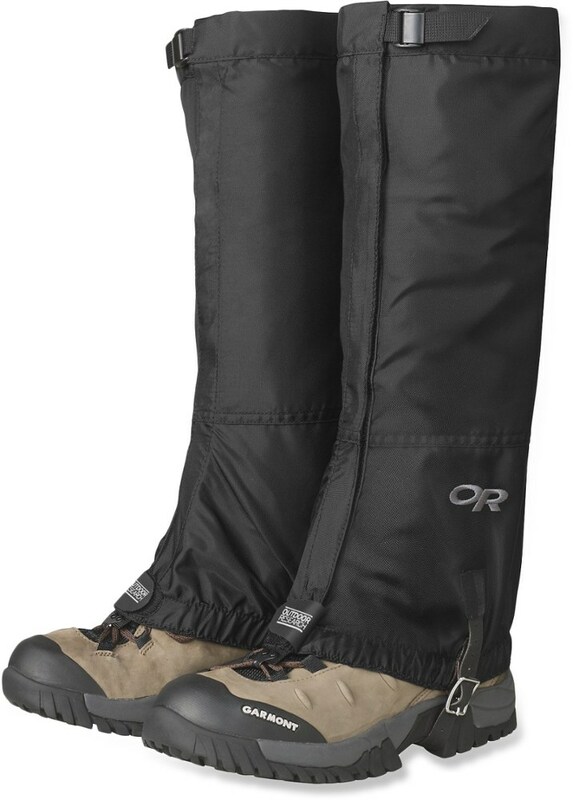 I saved a few bucks and these are lighter, fit GREAT and have kept my legs dry on 8 - 9 hour trips trudging through powder all day.